We’ll keep your Mercedes delivering the performance, style and safety you expect. At Alexander’s we have the resources needed to fully service your Mercedes Benz, including the Mercedes Benz STAR scan tool. This is the only scan tool family that can access all components in the complicated web of electronics that make up your Mercedes Benz. We stock synthetic engine oil that meets Mercedes Benz’s stringent specifications, so we’re prepared to service your Mercedes Benz for whatever it needs. Most importantly, as your neighborhood Mercedes Benz repair shop, we offer customer service, honesty, and transparency. You can trust us to make the repairs your vehicle needs to perform at its best in the unforgiving Minnesota climate. Mercedes Benz makes luxury cars that are built around the idea of comfort. They have plush seats and use high quality materials for their interior trims. From here, Mercedes Benz adds the latest in safety and convenience. All of these features combine to make Mercedes Benz one of the most comfortable and refined vehicles you can buy. Mercedes Benz has always held very high safety, performance, and functionality standards. When you buy a Mercedes Benz, you know you’re buying an elite car, and can be sure it will perform that way. Mercedes Benz manufactures a full line of vehicles, including compact cars, full size cars, high performance sports cars, SUVs, trucks, and — new for 2018 — a pickup truck! This wide range of vehicles uses a variety of different engine, transmission, and control systems. 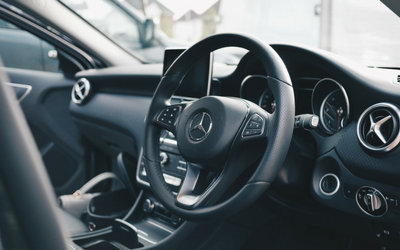 The variation in parts and systems from vehicle to vehicle means there’s no single part that every Mercedes owner should plan on replacing. For example, many GL450s need timing chains, but never a SAM module. Many CLK320s need SAM modules, but will never need the timing chain serviced. If you’re considering buying or already own a Mercedes Benz, give us a call. Based on your vehicle model, we’ll tell you what you can expect throughout the vehicle’s life. Mercedes Benz is ahead of the curve when it comes to most vehicle technology. They take the time and resources to test and add new safety, vehicle monitoring, and convenience features to their vehicles as soon as possible. This constant evolution means more computers, called control modules in a vehicle. This advanced system of computers is prone to malfunction as Mercedes Benz age. Sometimes this is as simple as a new sensor or updating the control modules. Other times the control modules need to be replaced. Mercedes Benz high end vehicles are equipped with air suspension. As the system ages it is prone to wear and tear. There are often rubber components in the air suspension system that wear out due to the climate we live in. If the air suspension does not function the ride quality of the vehicle virtually disappears. This is because the air that should hold up the vehicle and dampen road conditions is no longer present. As much effort as is put into designing and building a Mercedes Benz, it’s not immune to normal wear items. Mercedes Benz vehicles will need new brakes, tires, and suspension components just like any other car. Sometimes Mercedes Benz will even need these parts serviced more regularly because of the high demands placed on them. These demands make a Mercedes Benz vehicle feel and act like Mercedes Benz intended. Older Mercedes Benz, think early ‘90s and earlier, are prone to starting and running problems. This is usually due the complicated fuel injection system that was used at this time. Although these rudimentary fuel injection systems are a big step ahead of carburetors, they often wear and begin to fail, especially at this age. As with any vehicle, maintenance is a very important part of keeping your Mercedes Benz happy and healthy. For many years Mercedes Benz has recommended only synthetic oil when performing an oil change. This combined with the fact that most Mercedes Benz engines require more than 7 quarts of oil makes the oil change a little spendy, but without fresh oil the engine will quickly wear and result in costly engine repairs. 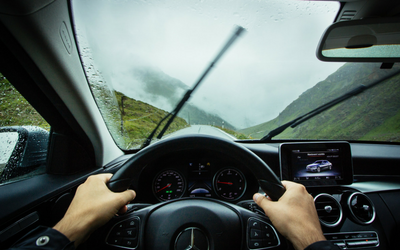 Based on our experiences with hundreds of Mercedes Benz in our Minnesota climate, we recommend the oil change interval to not exceed 5,000 miles. Our Minnesota weather has dramatic temperature changes throughout the year. This, combined with many opportunities to get stuck in stop-and-go traffic forces most vehicles in Minnesota to be serviced under the severe service recommendations. The severe service recommendations are more stringent than the recommendations for vehicles driven in normal conditions. It may cost more to get an oil change every 5,000 miles than every 15,000, but it’s less expensive than having engine failure. Mercedes Benz manufactures a full line of vehicles, including compact cars, full size cars, high performance sports cars, SUVs, trucks, and new for 2018 a pickup truck! This wide range of vehicles means a variety of different engine, transmission, and control systems. Because each model varies, there’s no one part or system that every Mercedes Benz vehicle will be prone to having issues with. For example, many GL450s need timing chains, but never a SAM module. Many CLK320s need SAM modules, but will never need the timing chain serviced. If you’re considering buying or already own a Mercedes Benz, give us a call. Based on your vehicle, we’ll let you know what you can expect throughout the vehicle’s lifetime.